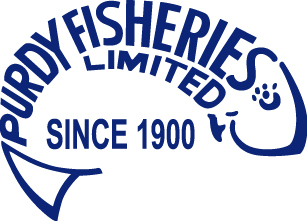 Purdy's Fisheries - Now With Three Locations To Serve You! PURDYS FISHERIES ..."Offering Quality & the Finest in Fresh Lake Fish Since 1900"
If you cant quite make it down to the riverfront, then be sure to stop by and say Hello to Mike and Steph, every Saturday morning, at the Sarnia Farmers Market. Purdys features their fresh and smoked fish, along with many easy meal ideas, and of course, the famous "Soup of the Day". Stop by and enjoy a delicious bowl of Purdys Great Lakes Chowder, Shrimp and Corn Bisque, Clam Chowder and many more.